If you own a CGE*, NexStar 8SE or NexStar 8i telescope, it's imperative that you protect your investment. 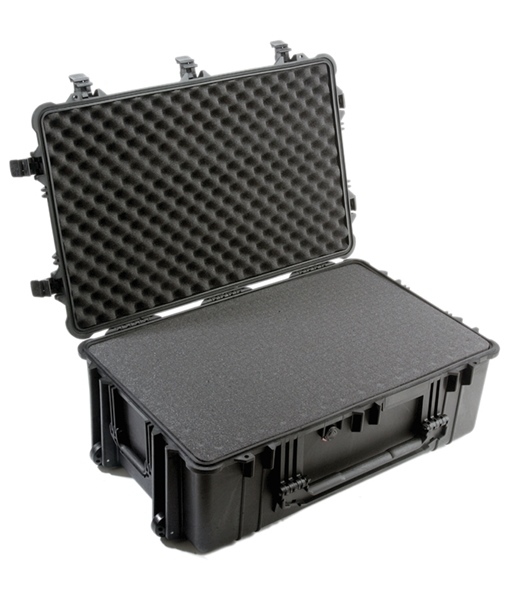 Unbreakable, watertight, dustproof, chemical resistant and corrosion proof are some of the features of this premium case that offers total protection for your equipment. It is made of Ultra High Impact structural copolymer that makes it extremely strong and durable. Its exclusive 1/4" (6.4 mm) neoprene o-ring and ABS latches seal perfectly and includes an automatic purge valve for quick equalization after changes in atmospheric pressure. The case is lined with die cut high-density foam for custom fitting. It features large handles and is equipped with wheels, for easy transportation. Made in the USA. *For storing CGE mount and Pier, must be used with foam that comes in original CGE mount packaging. 29" x 17.75" x 9.25"
For two years, Celestron will cover repairs or replacement of this product in cases of defective components or damage from normal wear and tear. For more details, visit our Warranty page.